Explore the Advantages of Aluminum vs. Stainless Steel for the Manufacturing of Vacuum Chambers - Meyer Tool & Mfg. Today, the material advantages of stainless steel over aluminum have been neutralized, partly through new technology, partly through new products, partly through improved processes and partly through more experience in properly welding aluminum to achieve vacuum leak-tight welds. Aluminum should no longer be relegated to use only in applications where the use of stainless steel is precluded by a process requirement such as weight goals or radiation half-life. Aluminum should be considered as the first choice for many common high vacuum applications. Historically, the following three factors have made stainless steel the preferred material for the manufacture of vacuum vessels. Ease of achieving vacuum leak-tight welds. Ease of cleaning and bake out. Availability of standard sealing systems. Today's aluminum processes have erased the advantages stainless steel once enjoyed in the fabrication of vacuum chambers. Three factors have made stainless steel the preferred choice for vacuum vessels. Ease of achieving vacuum leak tight welds. Ease of cleaning and bake out to achieve ultra-high vacuum (UHV) levels higher than 1x10-8 standard cc/sec helium. Standard sealing systems to achieve UHV levels. Welded Aluminum vessels now enjoy the same three factors. Advances in cleaning techniques. — Projects like the Advanced Photon Source at Argonne National Laboratory and the National Ignition Facility at Lawrence Livermore Laboratory have transferred technology to industry that allows the cleaning of aluminum for high vacuum or ultra-high vacuum levels. Sealing systems that achieve better than 1x10-8 std cc/sec. 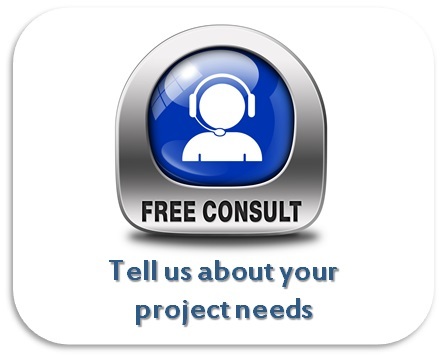 — Elastomer sealing systems allow aluminum chambers to operate to 1x10-8 std cc/sec levels. Methods such as Titanium Nitrating of aluminum knife-edge type flanges and the use of explosion bonded transition pieces to allow the use of standard stainless steel knife-edge flanges on aluminum vacuum vessels allow the use of chambers regimes <1x10-9 std cc/sec. 1. Weight: Stainless steel is approximately 3 times denser than aluminum and has a 2 times greater allowable design strength (for welded 6061T6, the numbers are more favorable for 5000 series aluminum). So a comparable vacuum vessel of aluminum vs. stainless steel should be about 1.5 times lighter. 3. Manufacturing: According to AISI tests, aluminum is 4.75 times easier to machine than stainless steel. However, labor costs associated with welded vacuum chambers may minimize this advantage. Vacuum vessel designs requiring more machining than welding favor aluminum. 4. 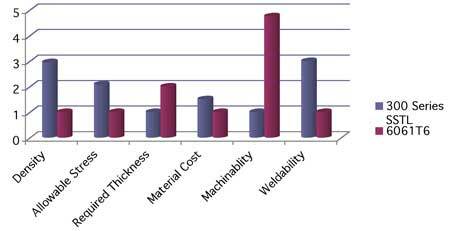 Total Cost: Advantages in raw material cost and relative parity of overall manufacturing labor cost result in a lower overall cost for an aluminum vacuum vessel versus a comparable chamber in stainless steel. While cost is also scope and scale dependent, i.e. 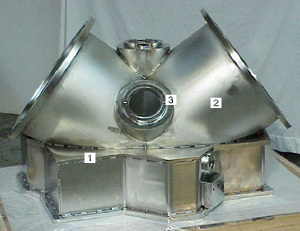 the size, configuration and number of chambers has an effect, generally aluminum varies from 10%-20% lower. Aluminum is much more competitive in the vacuum ranges below 1x10-8 std cc/sec while holding a smaller edge in the UHV ranges that can be negated by special requirements. 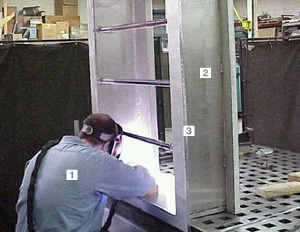 Where extensive post weld machining is required, the cost advantage can be much greater. 1. Aluminum vacuum chambers can be used throughout the range of vacuum regimes, from insulating to UHV. 2. Aluminum vacuum chambers hold a substantial 10%-20% cost advantage in the insulating and high vacuum regimes over comparable stainless steel chambers. 3. Where weight is an issue aluminum vacuum vessels hold a 1.5 times advantage over comparable stainless steel chambers.